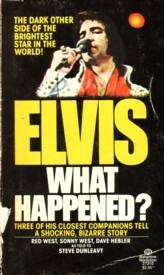 Welcome to EIN's "Elvis Book Month". Click to comment on EIN's "Elvis Book Month"
Book Review: "Lips" by Byron Edwards: EIN's Nigel Patterson took a road trip across the USA and into Mexico as he travelled with Elvis and a cousin trying to stay one step ahead of the law. 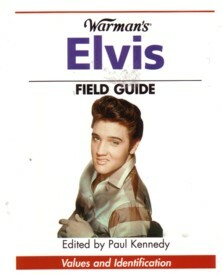 Where to buy out of print, rare Elvis books: As a rule of thumb Book Dealers put a premium on rare, out of print (OOP) books. However, the advent of the Internet has allowed us all to access thousands of items that previously were elusive. Each of these outlets offers NEW and USED items, often at a fraction of the normal or original retail cost. Books can be found starting at only 1 cent (plus p&p)! These outlets are also a great place to get recent titles at a discounted price. And don't forget to check the various country sites Amazon and ebay maintain. For example, if you are looking for a Japanese published Elvis title, Amazon Japan or eBay Japan may be your best bet rather than the main (USA based) Amazon and eBay sites. Another tip: Always cross-check prices. Even if you find a very cheap book on eBay, look at Amazon & B&N as you'll be surprised how many times you find the same book at a cheaper, buy now price. 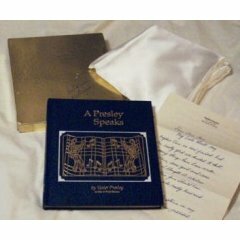 Mini Book Review - A PRESLEY SPEAKS, Vester Presley as told to Deda Bonura. Wimmer Brothers, (Memphis) USA, 1978, Soft cover, Illustrated, ISBN: 0918544114. I will never forget one day Elvis is out riding (Rising) Sun, his favorite horse. All of a sudden Sun starts bucking and off goes Elvis. Well, there were quite a few fans around the gate and they have a full view of Elvis...I reckon he’s a little embarrassed and figures he has do something. So, he doubles up his fist and starts jumping around as if he is trying to get Sun to fight with him. Sun just stands there, snorting and shaking his head...The fans laughed and applauded. They were all yelling for him to do it again. 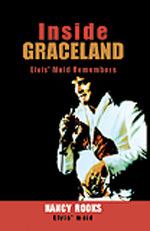 Perennial best seller with fans visiting Graceland. Reprinted many times. Features some rare color and black and white photos. Recommended. Ward Publishing, USA, 1992, Hardback, 232 pages, Illustrated, No index, Appendices, ISBN: 0849909791. Synopsis: The Stanley brothers have released numerous books about their stepbrother. All was revealed in the first two or three releases, and later publications such as this one are generally an embellished rehash of earlier stories. hat came to terrorize him was the knowledge that what he appeared to be, this godlike image, meant so much to his fans. Elvis Book Fact #6: There have been more than 20 comic books published about Elvis. 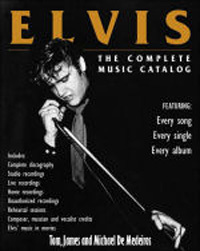 These include the three part comic novel, "Elvis Shrugged" and the seven-part series, "The Elvis Presley Experience". The rarest Elvis comic book is an underground release with the title "Elvis and Priscilla F--king". Surprisingly, despite its controversial title, its images are not particularly pornographic. German & French book releases: In Germany, Bosworth Music GmbH will release the German edition of Careless Love by Peter Guralnick (paperback, ISBN 3865431070). Release date is set for August. In February this year they also released the German edition of Last Train to Memphis. Also in August, Bosworth Music GmbH will re-release Elvis - Story und Songs Kompakt (paperback, 160 pages, ISBN 3865432301). Publisher Schwarzkopf & Schwarzkopf released in June a second edition of the book Elvis Presley - Ein Leben fur den Rock'n'Roll. Die Fotochronik der Karriere (paperback, 320 pages, ISBN 3896024353). In October, Schwarzkopf & Schwarzkopf will release the German edition of Elvis at 21: Elvis im Alter von 21 Jahre: Von New York nach Memphis (hardback, 300 pages, ISBN 3896027263). A German edition of Tara McAdams' book Elvis Handbook will be released in November by Collection Rolf Heyne (hardback, 432 pages, ISBN 3899103289). Also published by Collection Rolf Heyne are the book(s) from Jim Piazza, "Elvis Presley - The King". They come with three different covers: black (ISBN 3899103181), gold (ISBN 3899103173) and white (ISBN 389910319X). Release is set for October. The Ger Rijff Elvis Book Collection: One name is synonymous with quality photo-journal books showcasing Elvis at the peak of his powers in the 1950s, and that name is the legendary Ger Rijff. EIN presents a look at the fascinating Ger Rijff catalog of Elvis books and offers you tips on how to find these much sought after collectors items. 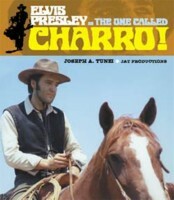 Elvis Book Fact #5: There are more than 200 foreign language books with Elvis in their title. 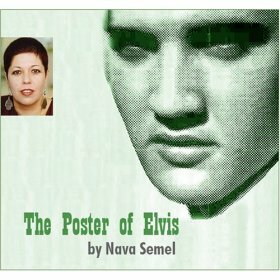 Books about Elvis have been published in more than 20 languages. Opposite left: 2005's biggest selling Elvis book "Elvis By The Presleys"
Harmony Books, USA, 1997, Hardback, 387 pages, Illustrated, ISBN: 0517705850. Century/Random House, UK/Australia/New Zealand/South Africa, 1997, Hardback, 387 pages, Illustrated, ISBN: 0712677747. Random House Value Publishing, Incorparated, USA, 1997, Hardback, 320 pages, Illustrated(? ), ISBN: 0517705850. Berkeley Boulevard Books, USA, 1998, Softcover, 464 pages, Illustrated, ISBN: 07183100750. Berkley Publishing Group, USA, 1998, Softcover, 464 pages, Illustrated, ISBN: 0425165442. Three Rivers Press, USA, 2006, Softcover, 480 pages, Illustrated, ISBN: 0307336956. Contrary to legend, neither Ann nor her husband exhibited the slightest hesitation about sending their daughter to meet Elvis. 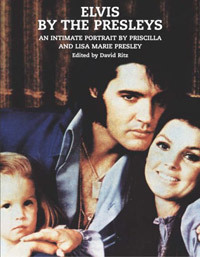 Of particular interest are a detailed account of Elvis’s sexual persona, Lisa Marie Presley’s attempts at becoming a rock star and several rare photos. Graceland in certain ways resembled the Clampett mansion in The Beverly Hillbillies...Vernon was a latter-day Jed: Elvis was a well-intended, oversexed Jethro. As always, the truth probably lies somewhere in the middle. 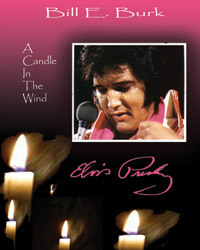 Elvis Book Fact #4 - Privately Published Elvis Books: Elvis is arguably the #1 icon for privately published Elvis books. From fan club booklets to quality photobooks nearly 500 titles have been produced by individuals and organisations operating within the Elvis fan club network and outside mainstream bookstores. 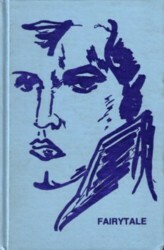 Little known Elvis novel a collectible thanks to copyright law! All the vine-swinging Tarzan of the Apes had to worry about was the law of the jungle. But a New Zealand publishing company is up against complicated copyright law for using the fictional hero in a critically acclaimed novel. Edgar Rice Burroughs Incorporated, the estate of Tarzan’s creator, has demanded that Victoria University Press stop selling copies of the humorous novel Tarzan Presley. Written by New Zealander Nigel Cox, it tells the story of Presley “raised by gorillas in the wild jungles of New Zealand, scarred in battles with vicious giant wetas, seduced by a beautiful young scientist” who gets a record deal with Elvis Presley’s producer and has 30 No 1 hits. The book was published in June 2004 to critical acclaim and has sold most of its initial 3000 print run. Victoria University Press publisher Fergus Barrowman said it received a letter from a British law firm, acting on behalf of Burroughs’ estate, several weeks after the book was published. It wanted a New Zealand website to stop advertising the book. The publishers had since received several letters from lawyers for the estate, based in Tarzana, California. Mr Barrowman said Burroughs’ estate would be satisfied with it selling the remaining first edition copies, as long as none were sold outside New Zealand. It would also allow the book to be republished, but only if the name Tarzan was removed, the story changed to make it less like Tarzan’s story, and it was not sold overseas. But if Victoria University Press did not agree, “basically the big stick is `We’ll sue you.’ “ Mr Barrowman said Victoria University Press would be reluctant to go to court because of the cost. Differences in copyright law could be a factor. Burroughs wrote Tarzan of the Apes in 1912 and set up Edgar Rice Burroughs Inc a year later. His estate has had a long history of zealously guarding Tarzan. Availability: "Tarzan Presley" is not listed on Amazon or B&N and no copies of the book have appeared on ebay in the past year. Released by Villard Books in 1987 at the height of stories about Elvis' illegitimate children, de Barbin's fanciful tale was absorbing. Well written and seemingly sincere, it told a terrific tale of the author's 20 year love affair with Elvis, and the daughter, Desiree, it produced. Rumored for deserved, but eventually non-forthcoming film treatment, many couldn't help but get drawn into de Barbin's wonderfully compelling, if flawed, tragic fairytale. "I couldn't sleep that night. Why did he call after all these years? How did he find me? Would he call back? Why did he hang up? Nothing but questions, tormenting questions. The next day at work was impossible. My mind was far, far away. Ten years in the past by a river in the fall." Critics quickly picked up on several factual errors in the narrative but these could be excused given the time lapse involved. The real giveaway was the lack of any substantive evidence that de Barbin ever met Elvis, and when offered, the non-showing of daughter Desiree to undergo a DNA test to resolve paternity. Regardless, this book detailing an alleged affair of the heart was the first, and best, of an infrequent series to be published over the ensuing two decades. Others would be the factual "Elvis & Kathy" (Kathy Westmoreland: 1987), the neo-factual "Don't Ask Forever My Love Affair With Elvis" (Joyce Bova: 1994); "The King, McQueen and the Love Machine" (Barbara Leigh: 2001); and Tears Of A Shadow (Patchouli: 2004). "Are You Lonesome Tonight?" 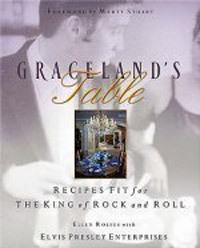 possessed a vital spark and eventual tragedy not as apparent in these other memoirs, although Kathy Westmoreland came close with her interesting, but uneven, reflection on her relationship with The King. At the height of the illegitimate children story around 10 different people had come forward claiming to be Elvis' offspring. The story gained wide tabloid interest for nearly a year before giving way to a more psychologically resonant and long lasting story, namely that Elvis didn't die on 16 August 1977. "I was finally holding the body I ached for all those empty years. I ran my fingers down his smooth skin and traced his sensuous mouth. Elvis responded, first slowly, then eagerly. He was as thrilling in bed as he was on stage, energetic, powerful, and commanding. He explored all the nuances of my body, awakening desires I feared had long died." There are some fatal flaws in the story and a lack of precise places and dates that can be verified. It is also amazing that not one of the Memphis Mafia knew of de Barbin’s allegedly two-decade relationship with Elvis. 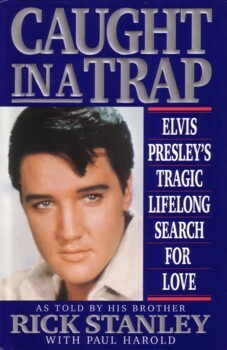 Originally slated to be a TV movie or mini-series, public interest in it quickly waned due to the hard sell marketing of the ‘Is Elvis Alive?’ conspiracy story. The soft cover version in 1988 included new and previously unpublished material. Recommended (if you like a very well written and engrossing, if unbelievable read). 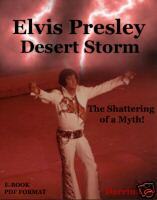 Elvis Book Fact #3 - Elvis book sales today: Since the early 1990s sales of Elvis books generally have been in decline. A glut of titles following his death was initially generally well met with even minor titles selling briskly, but over time the continuing high numbers of books being published about Elvis could not sustain substantial sales figures. Self published, Sweden , 1994, Soft cover, 238 pages, Illustrated, No index, No bibliography, ISBN: none. Synopsis: Petersen’s labor of love is a worthy addition to the serious collector’s archives as he takes the reader on a ‘detailed’ day by day tour with the King through 1956. Elvis Presley fans all but tore the roof off the Oakland Auditorium Arena - not once, but twice - as the youthful singing sensation proved yesterday he is without a doubt, the most amazing of entertainers. Presley whips through a song as if he had grabbed a live wire. Some 6,400 madly screaming fans at two performances responded as if they, too, had been jolted by the same current. The next day Elvis and Nick Adams drove out to the Mid-South Fair on Elvis’ motorcycle. Elvis was dressed in white pants, white socks and a white shirt with a waving stripe down the front and his motor-cycle cap with a big star on the front. The title takes its name from the billing given Elvis when he first appeared (rather disastrously) in Las Vegas that year. Book Review - "Fairytale": The idea that Elvis did not die in August 1977 has spawned a mini-library of richly diverse and controversial, fiction and non-fiction titles since the late 1970s. The most well known books are of course by Gail Brewer-Giorgio, who left the Elvis world several years ago to pursue other interests. In the fiction area, one book highly sought after by collectors is the anonymously written, Fairytale. In a thorough and insightful review of the book, Susan MacDougall (Presleys in the Press) dissects its meaning and explores its themes and merits. "Elvis What Happened?" (aka 'The Bodyguard Book') had the distinction of, at the time, being the biggest book order placed by the K-Mart chain in the USA, with more than 1 million copies ordered around August 1977. 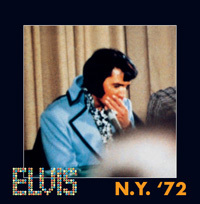 The "original" Elvis biography, "Elvis" by Jerry Hopkins (originally published in 1971 and reissued most recently in 2006) sold very well around the world but its total sales figures have not been published. Whether or not it has reached 1 million sales is a moot point. The only other persons to rival the number of books published about Elvis are 'Jesus' and 'JFK'. 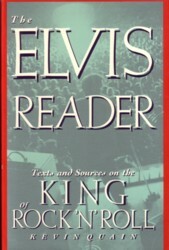 (Mini) Book Review - The Elvis Reader (Texts and Sources on the King of Rock ‘N’ Roll), Kevin Quain (ed. ), St. Martin ’s Press , USA , 1992, Soft cover, 344 pages, Not illustrated, ISBN: 0312069669, Bibliography, Index. “Even before the Pill, Elvis seemed to obviate the primacy of Jack-hunch-Annie-and-knock-her-up”. Easier to read than other serious collections about Elvis as it is largely composed of narrative essays rather than intellectual treatises. Individual essays are listed in Part D: The Essays.